Too many students don’t find school meaningful, but it could — and should be. When students feel their courses and school work are connected to their futures, they are more engaged, more successful, and more likely to graduate and go on to further education. “The more you learn, the more you earn,” says the US Bureau of Labor Statistics. Dropping out of high school is very expensive. 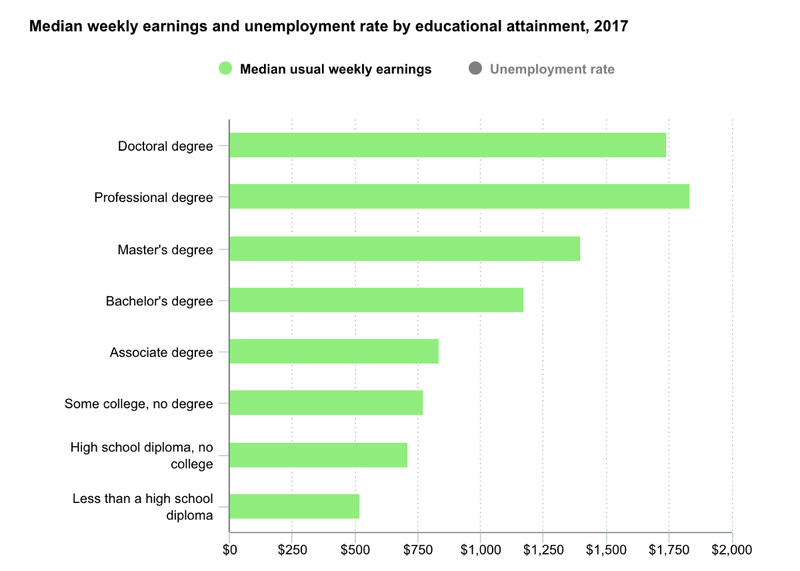 By some estimates, over their lifetime, a high school dropout will earn $250,000 less than a person with a high school degree and almost a million dollars less than a college graduate. It is critical, therefore, to ensure that every student graduates high school. How do we achieve this? Students say that one of the most essential ingredients is having school be engaging and inspiring. Students want and deserve to have the 35-plus hours per week they spend in school to relate more directly to their futures. They want their schools to help guide them towards a career path which excites them — towards work which will be meaningful and valued. An overemphasis on standardized tests and achieving grades zap motivation and contribute to anxiety and a sense of meaninglessness expressed by the ever present question, “will this be on the test?” “Classes at school aren’t just classes. Like a test isn’t a test. A test is your grade in the class which is your GPA which is your college admittance which is your career which is your life — the test is your life. And then you end up in the therapist’s office, you know?” comments one Louisville student on the stress and pressure she feels. Efforts by teachers like Ms. Poth are deeply appreciated by students. “My teacher, rather than just putting a grade in for our pieces, would personally write each of us a full-page letter explaining why we got the grade we did, what our strengths and weaknesses were, and how we can combat these difficulties in future pieces,” comments one high school student on a classroom experience he had. Without this personal connection to their schoolwork, some students who do go on to further education wind up having to take remedial courses after they graduate from high school. This is a very costly outcome for both society and most importantly, for the individual student. In fact, according to the Kentucky Council on Postsecondary Education, approximately “one in three Kentucky high school graduates is not ready for college-level work in three crucial subjects: reading, writing and mathematics.” This is especially troubling, given that many of today’s higher-paying jobs require more than a high school degree. Beyond jobs, these skills are integral to critical thinking and personal development. Being more engaged in what they are doing at school each day would lead more students to persist and be better prepared to continue their education. Students who complete additional education (college or technical training) after high school earn more money, and tend to be more involved in their communities. Most importantly, when we feel what we are doing is worthwhile, we are happier. When educators have the flexibility to get beyond teaching to the test and when students are asked to participate in their own educational process, school becomes meaningful. 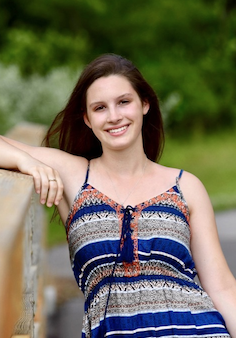 Rachel Bradley is a senior at Kentucky Country Day School. The opinions expressed on the Forum represent the individual students to whom they are attributed. They do not reflect the official position or opinion of the Prichard Committee for Academic Excellence or the Student Voice Team. Read about our policies.